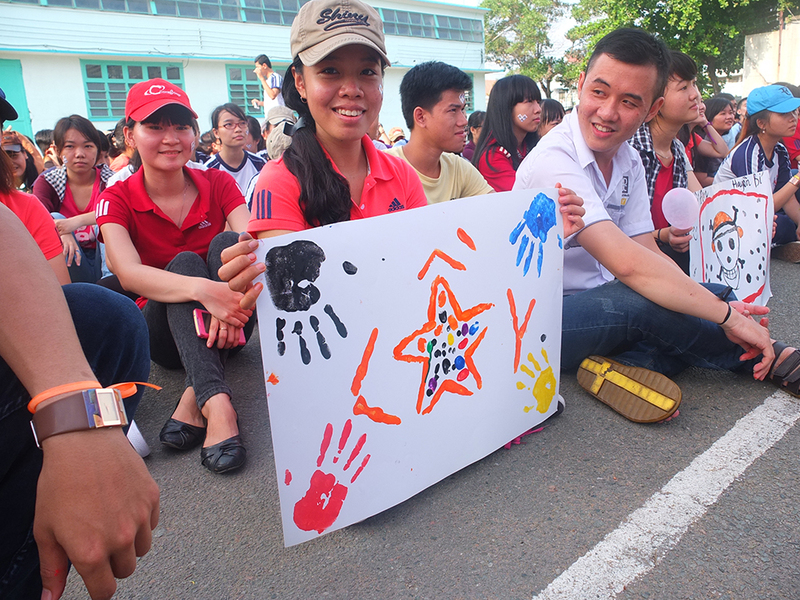 Last Saturday (September 5th, 2015), an exciting Welcome Festival held by Faculty of Graphic Arts and Media of HCMC University of Technology and Education (HCMC UTE) for freshmen. 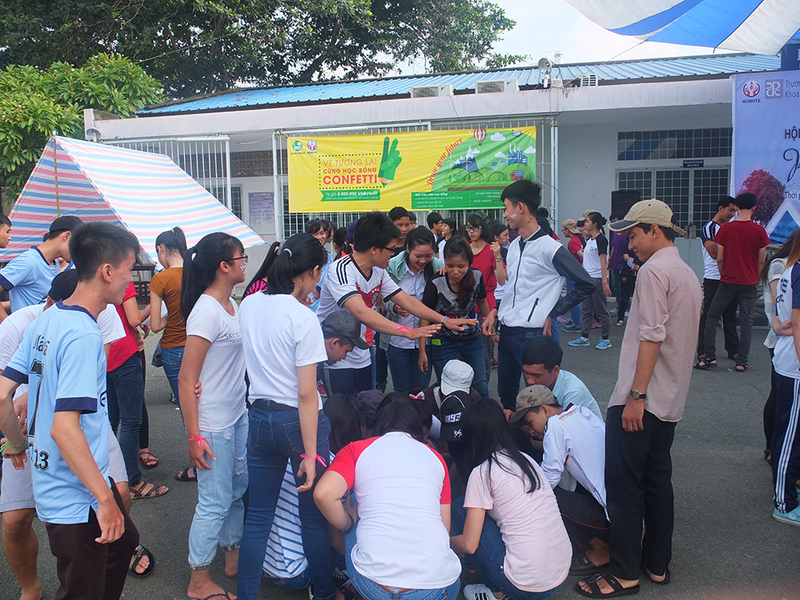 This is one of their annual activities in the begining of school year, aim to give students opportunity to experience and interact with each other when entering to campus. 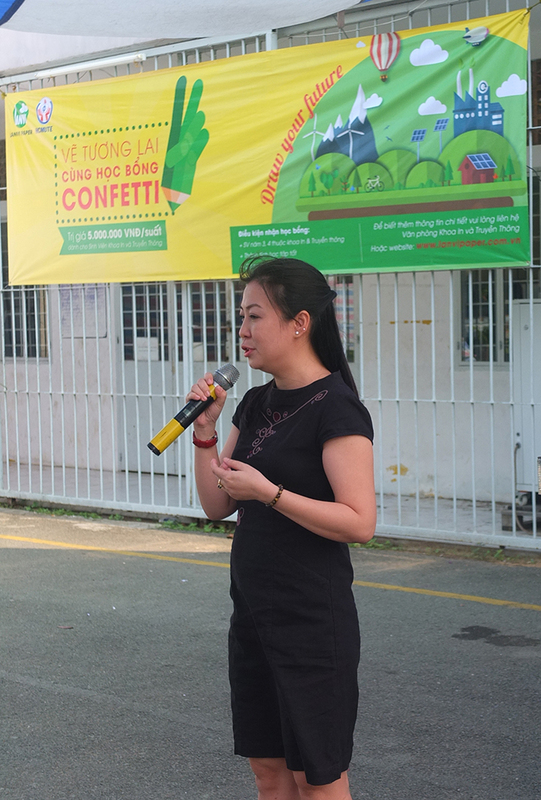 On this occasion, Ms Dam Thuy Lan Phuong – Director of Lanvi Paper visited and talked to students of Faculty of Graphic Arts and Media. 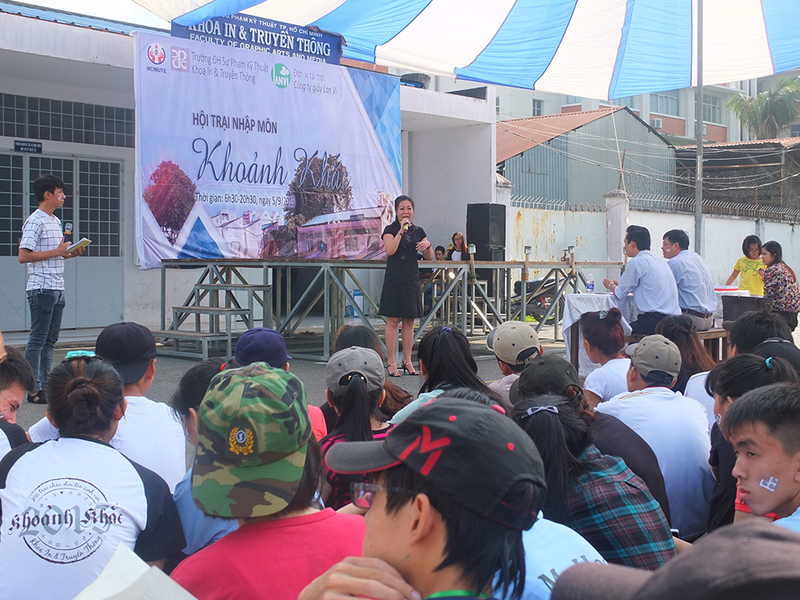 She shared with students about Confetti scholarships, CCA design contest and other information, and received good responses from students. 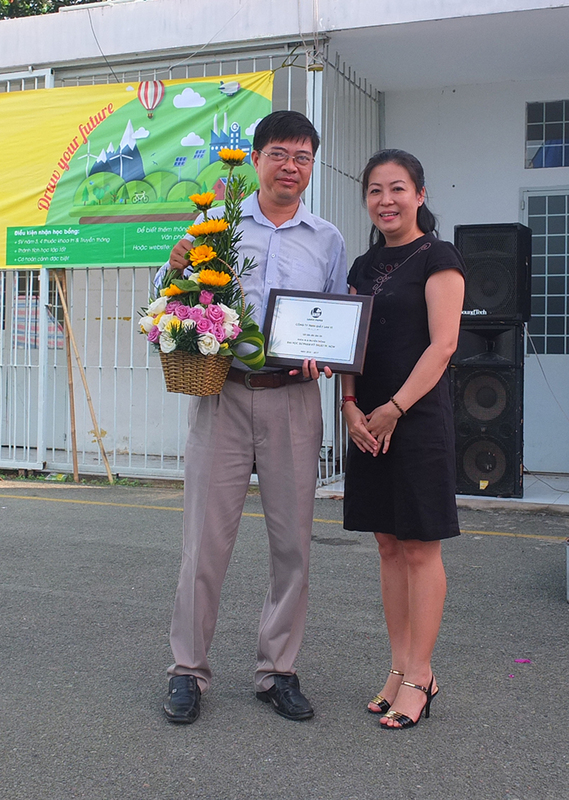 Lanvi Paper also presented a souvenir certificate to Faculty of Graphic Arts and Media as an action in order to mark the cooperation between Lanvi Paper and HCMC UTE in supporting to develop student’s career. Previously, Lanvi Paper has signed an MOU with Faculty of Graphic Arts and Media to become a scholarship and student activities sponsor. According to that, student who has good performance and positive background, will has chance to receive financial aid valued 5,000,000 dong. 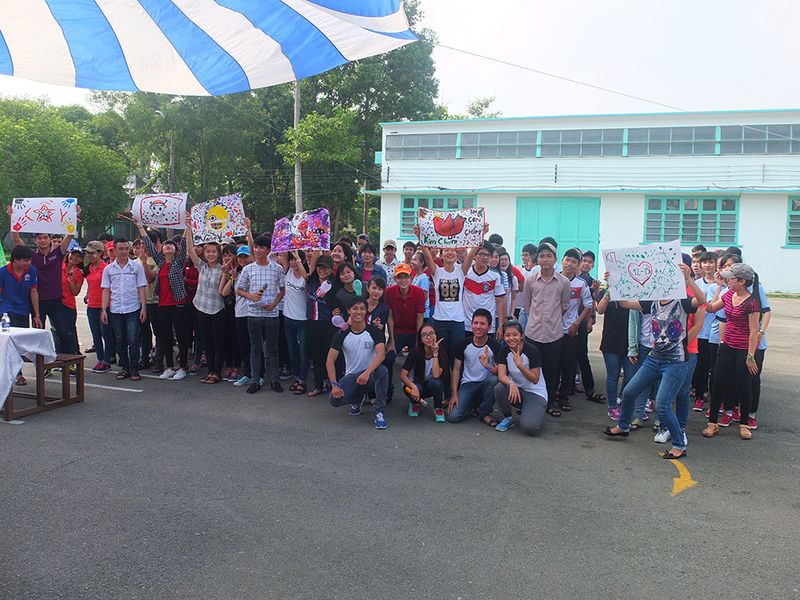 These scholarships will be transmitted to students in the upcoming Entrance Ceremony. 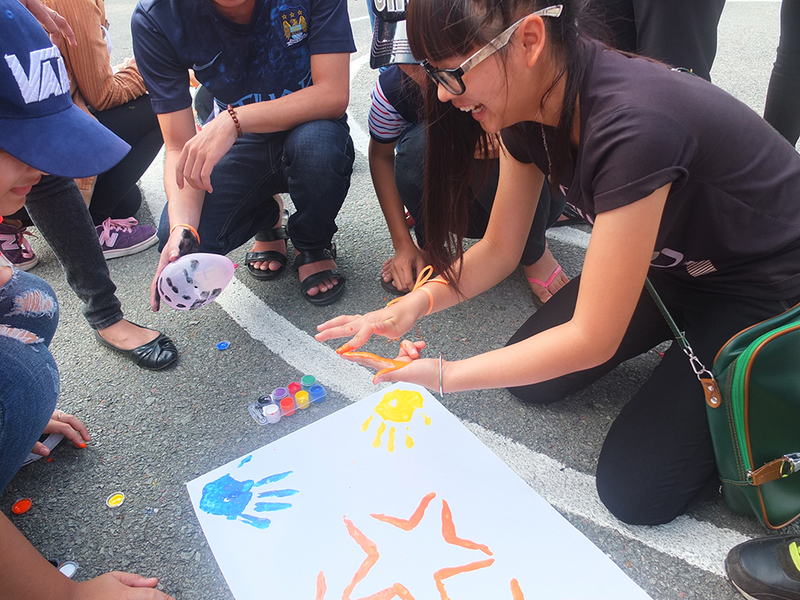 Beside that, Lanvi Paper also donated 10 stone benches and a bulletin board to help them have a better place for studying. 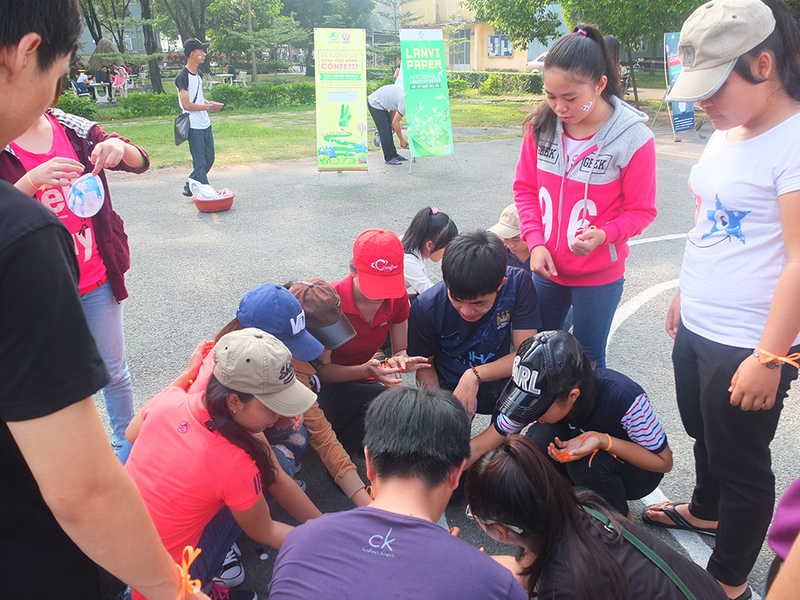 These activities aim to show commitment of Lanvi Paper in supporting student in a long term. 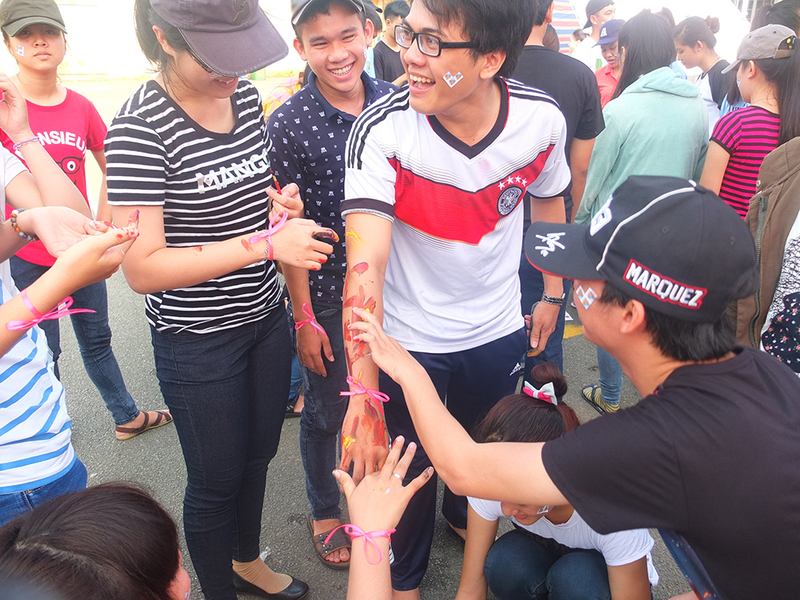 Check out some photos from Welcome Festival of Faculty of Graphic Arts and Media, HCMC UTE. 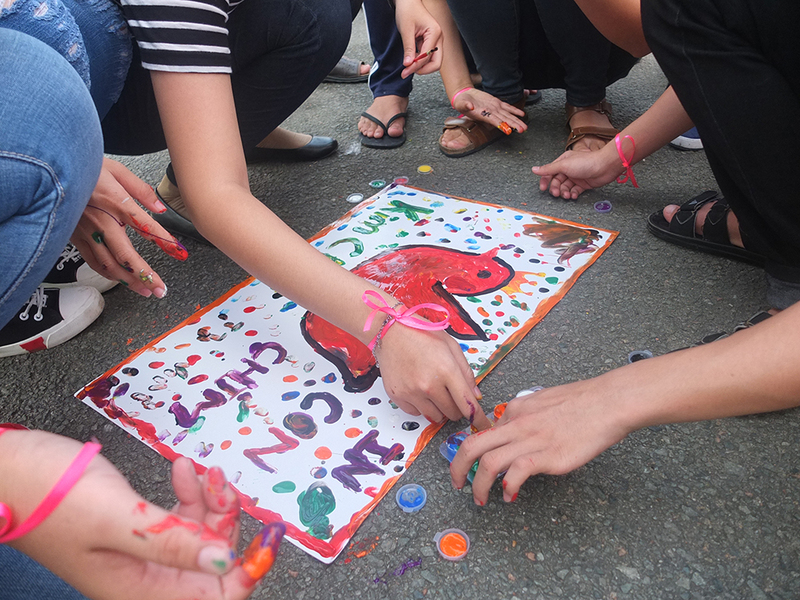 Lanvi Paper | Students have chance to interact with each other. 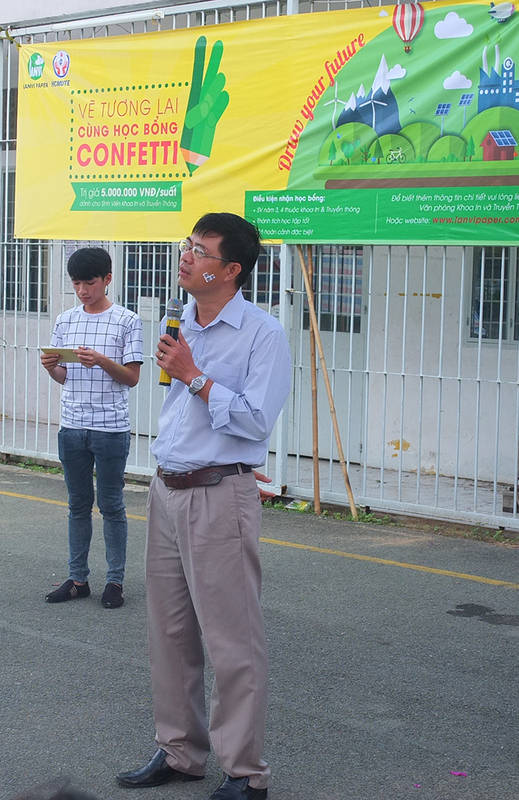 Lanvi Paper | Mr Le Cong Danh was saying welcome with freshmen. 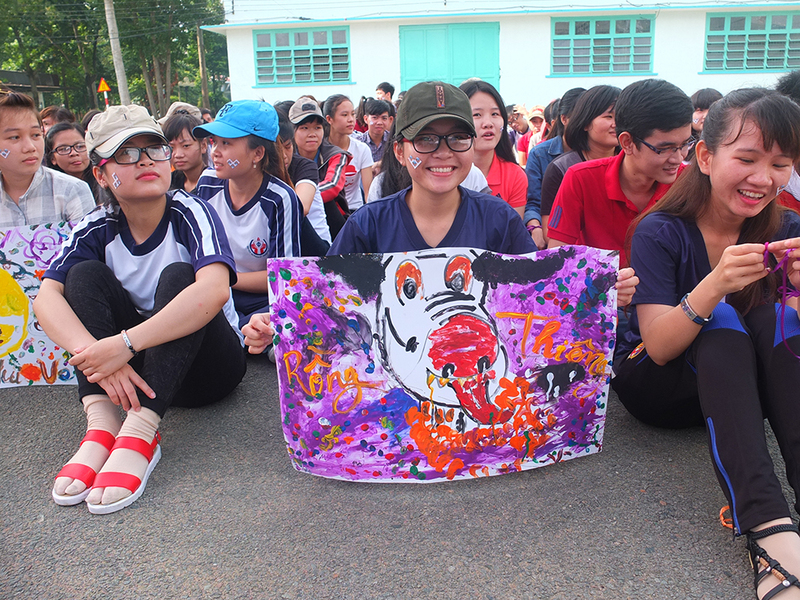 Lanvi Paper | Ms Dam Thuy Lan Phuong was sharing her feeling with students.